A journey through the history, landscapes and masterpiece artworks of the region where the Renaissance was born: from the hills of Chianti to the beaches of Versilia, past medieval hill towns and charming stone cities, will be the journey of a lifetime. 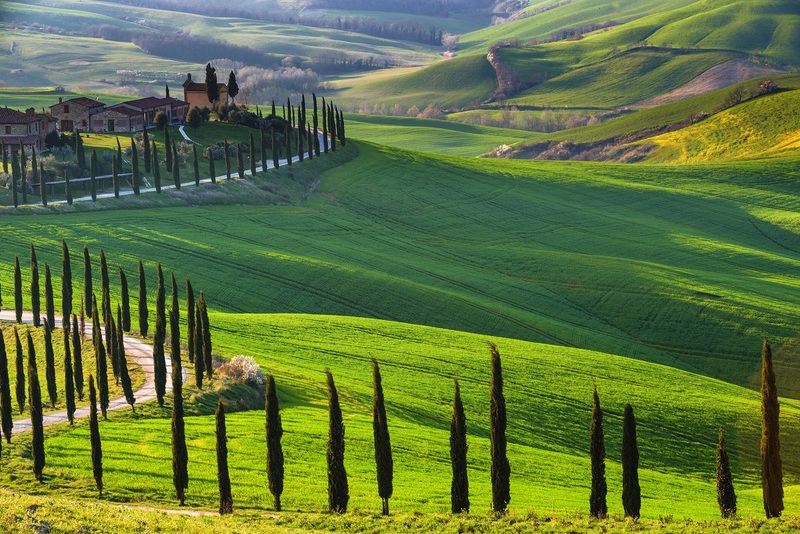 The rolling hills of Tuscany, covered with vineyards and olive groves for miles on end, are simply too beautiful for words and perhaps, for this reason, for centuries they have been the subject of thousands of paintings and photographs. Tuscany is famous for its wine, its stunning undulating landscape and its mouth-watering cuisine. Our Tuscany tours and excursions will allow you to explore the area, rightly known as the jewel in the Italian Crown. We offer the best tours all around , whether you be a honeymoon couple or a group of 40 people enjoying a family reunion we can assist in completely customizing a memorable Tuscan experience. Our guided Tuscany tours in include day tours, bike tours, walking tours, gastronomical tours, wine tours, art excursions, shopping sprees, balloon rides, cheese tastings and ceramics factory visits, as well as seasonal delights such as truffle hunting. Your Tours are personally arranged so your travel can be just what you want it to be for the perfect Sightseeing in ! The below tours can all be done out of a base in Siena, the Chianti or Southern Regions with variations on driving times. For example, Lucca and Pisa are a roughly two-hour drive from Siena while the Val D’Orcia is roughly 45 minutes depending on the town. Our Tuscany tours and excursions throughout the Tuscan region will allow you to explore the area,You’ll have a chance to go wine tasting in Chianti, visit medieval castles, (Lucca,Cortona,ecc..) see art treasures of the Renaissance, explore Tuscany’s picturesque towns and villages, and enjoy exquisite local cuisine as Pecorino Cheese, Truffles and Extra Virgin Olive Oil!